There’s garden-variety carnage, with cracked bones and mangled flesh, and then there’s Supreme Carnage, with exploded heads and torsos stomped into a chunky unrecognizable mess. You could expire peacefully in your bed at a ripe old age, and then there are especially Morbid Ways To Die. Supreme Carnage will teach you some of them. 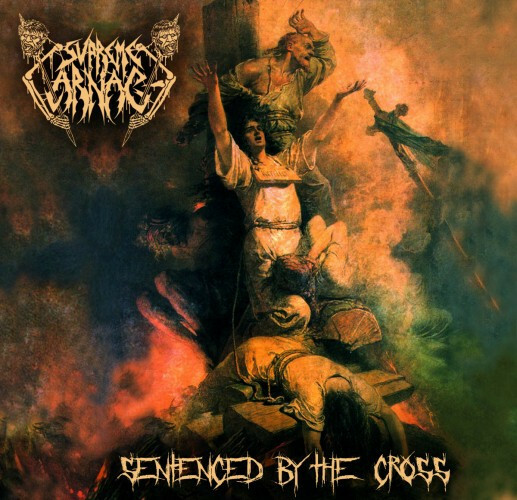 This German old-school death metal band, who have taken their prime influences from the likes of Gorefest, Entombed, Bolt Thrower, Asphyx, and Bloodbath, have already discharged an impressive discography, which includes their 2013 debut album Quartering the Doomed and 2015’s Sentenced By the Cross, but on their forthcoming third record — which of course is entitled Morbid Ways To Die — they sound like they’ve reached a new zenith of audio slaughtering. In mid-December we had the pleasure of premiering a full stream of Sentenced By the Cross, the new album by Germany’s Supreme Carnage, which has now been released by Redefining Darkness Records. Today we bring you another Supreme Carnage premiere — the new video for one of the album’s hard-hitting songs: “Skin Turns Black“. 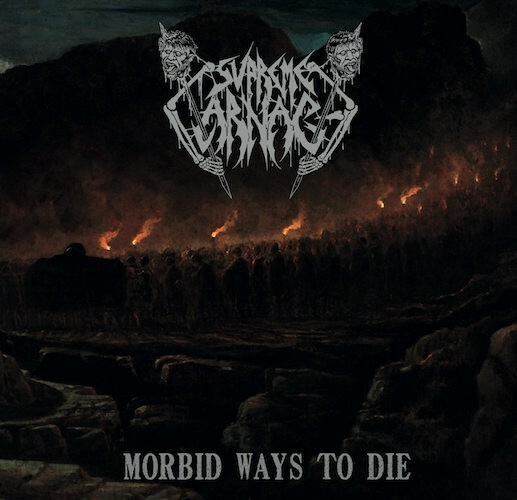 On December 18, Redefining Darkness Records will release Sentenced By the Cross, the new album by Germany’s Supreme Carnage, and today, on the eve of its release, we bring you a full stream of the entire album. This is music for fans who want lots of juicy red meat in their death metal. It’s not overly complex or wildly inventive. The approach to song-writing is straight forward, with traditional verse-chorus structures. 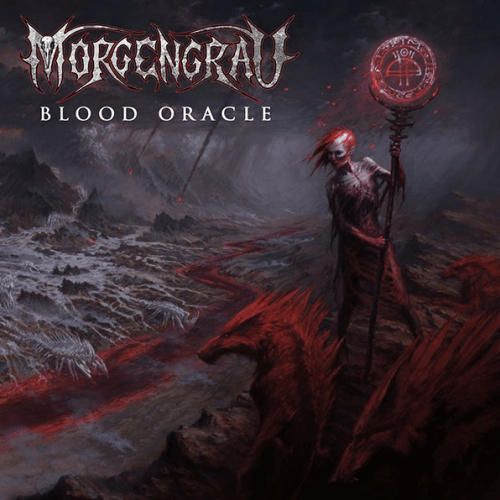 And though they’re from Germany, the band have clearly aligned themselves with old-school legends from the Swedish school such as Asphyx, Grave, Entombed, and Bloodbath — with an embracing of Bolt Thrower as well.